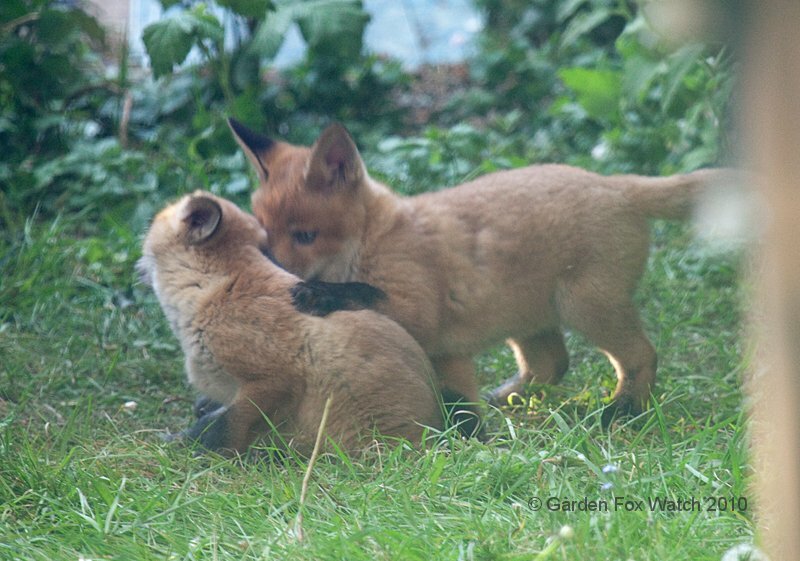 The foxes have been less visible than usual over the last day or two (just as I announced this blog to the world, of course; timed for maximum awkwardness). 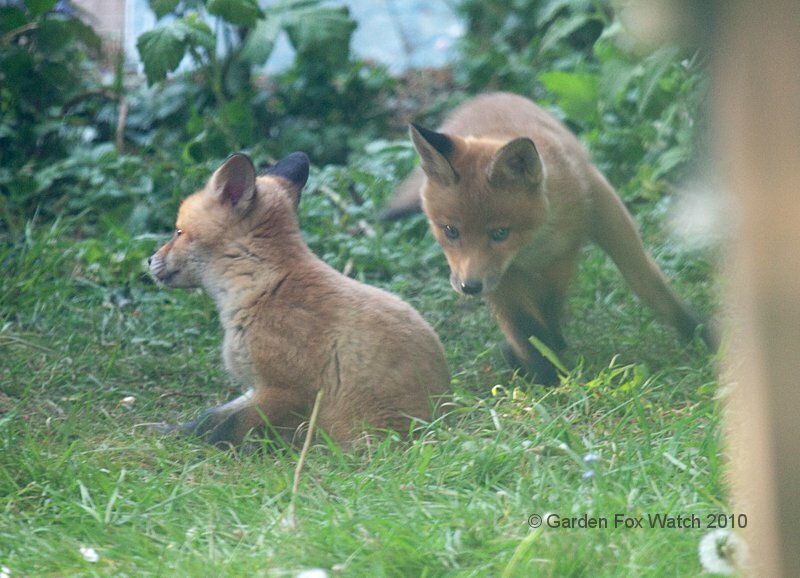 Possibly they’ve just been put off by the chilly weather; maybe the cats are giving them some aggro; perhaps the cubs are getting to that awkward adolescent stage and are doing the fox equivalent of sulking in their room playing emo music and not coming out for meals. 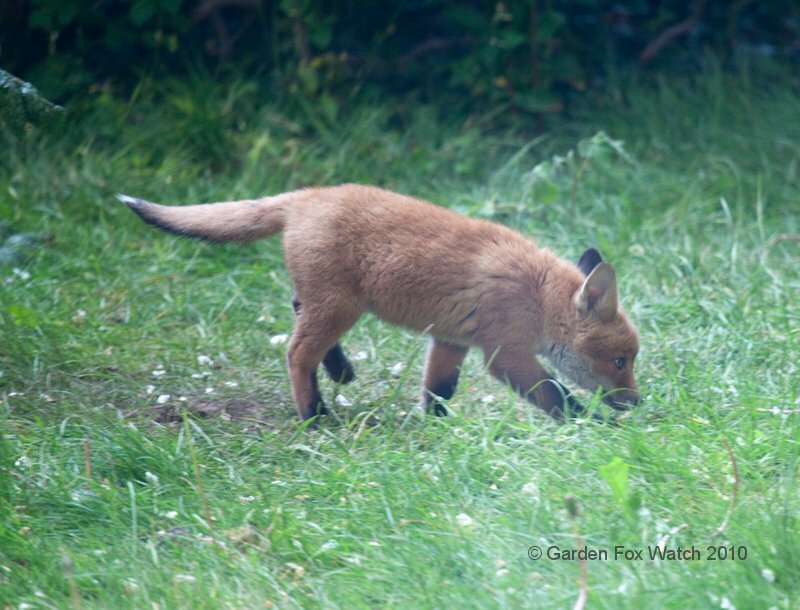 Whatever the cause, all I have in videos from last night is some footage of Mrs Fox coming out for food and then going back into the bushes — not really worth uploading. Have some photos from a couple of days ago to make up for it. As ever, click on the thumbnails to see the photos and click anywhere on the resulting large photo to close it. They almost remind me of your cats when they were young. 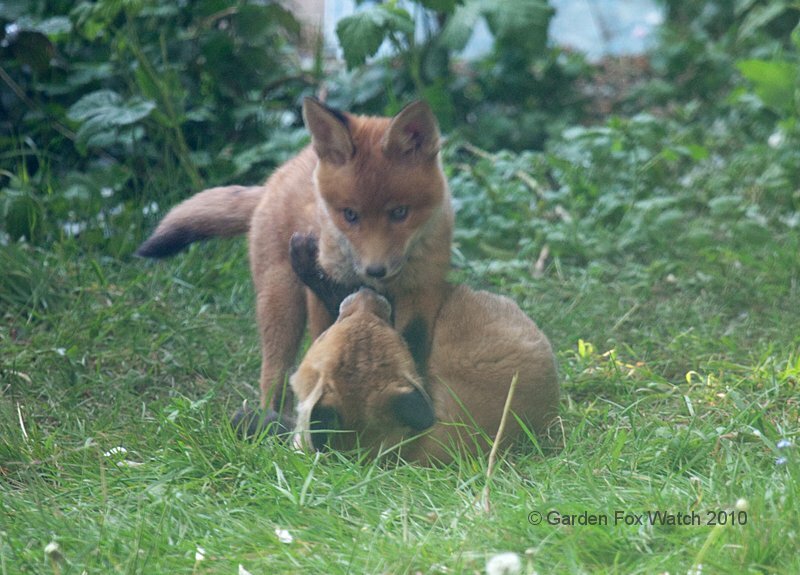 I love the way that so many baby mammals love to play fight!